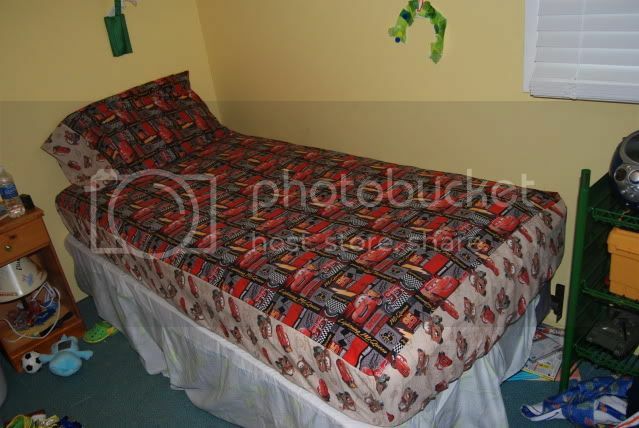 Car’s Twin Size Bedding – Everything Your Mama Made & More! After not sleeping great last night I was looking forward to sewing while the kids are at their dads house. In an hour I was able to whip up the matching pillowcase & twin size sheet to the curtains I posted in the wee hours of the morning 🙂 (I cut everything out last night). I plan on doing a tutorial for the sheet soon since it is similar to my toddler sheet. 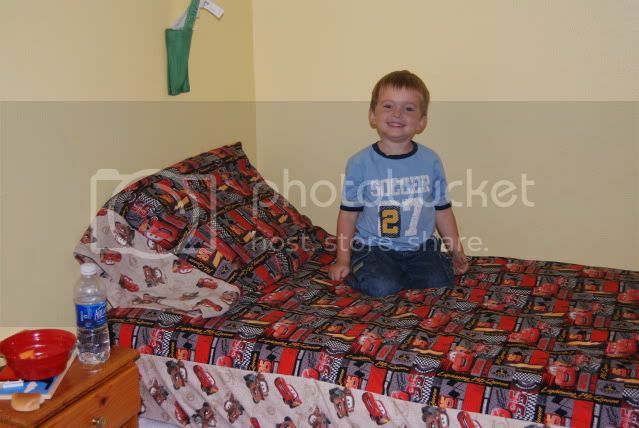 He already has a nice cars comforter his dad got him, but of course the picture with all him ‘sleeping’ in his bed didn’t turn out & I didn’t realize it until I got home!